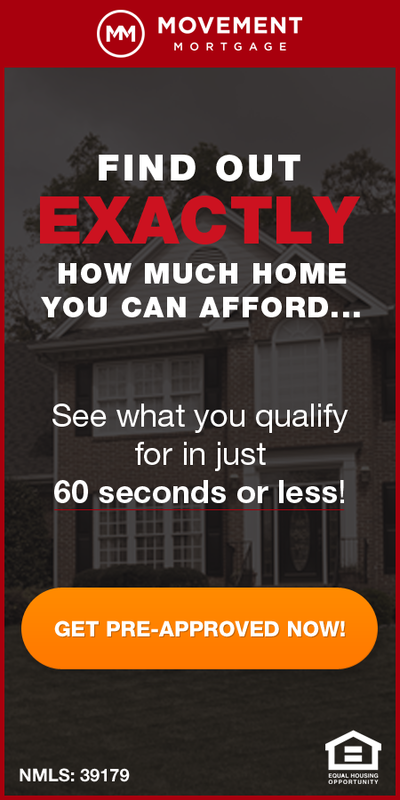 Which St Louis Area County Had The Best Home Value Appreciation Pre-Bubble to Post-Bubble? 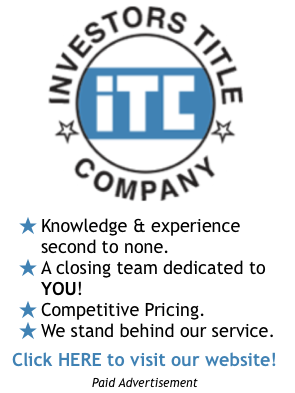 St Louis, like the rest of the country, began the build up to the housing bubble around 2000 only to see the bubble burst in 2008 and then where we find the St Louis market today; in recovery mode. So, during this period , which St Louis area county saw the most home value appreciation overall? Well, the “winner” isn’t even a county per se, it’s the City of St Louis with a 86.85 percent increase in median home values from 2000 to 2012, according to data from the US Census Bureau. 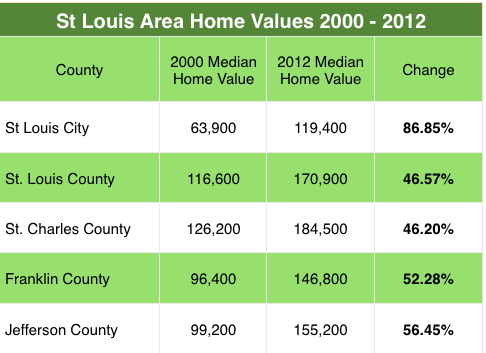 As the table below shows, the median home value in the city of St Louis in 2000 was $63,900 and in 2012 was $119,400. See the table below for data for the other St Louis Counties.